First, it was a CONSPIRACY. 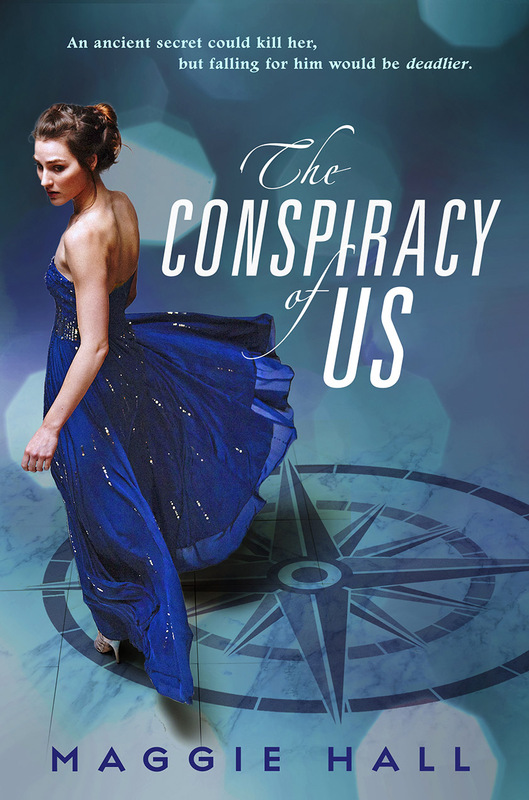 Book 3 in the Conspiracy of Us trilogy, coming July 18, 2017. 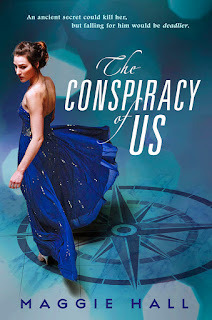 Avery will have to decide how much she's willing to sacrifice--for the world, for family, and for love--in this thrilling conclusion to the Conspiracy of Us series. MAP OF FATES, book 2 in the Conspiracy of Us trilogy, is out now! That’s how long it took for Avery West’s ordinary life to change forever: In two weeks, she discovered she was heiress to a powerful secret society known as the Circle, escaped an arranged marriage, and learned her mother was taken hostage by the Circle’s enemies. Now, Avery crosses oceans in private jets to hunt for clues that will uncover the truth about the Circle, setting her mom and herself free. 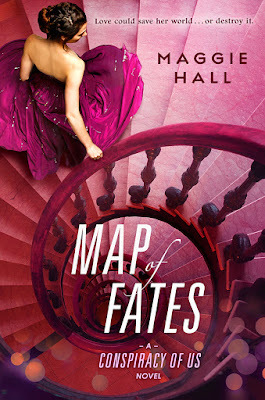 By her side are Jack—steady, loyal, and determined to help her even at the expense of his own duty—and Stellan, whose connection to Avery grows stronger by the day, making her question what she believes at every turn. At the end of a desperate hunt from the islands of Greece to the red carpet at Cannes comes a discovery that could bring the entire world to its knees. And now Avery is forced to face the truth: in the world of the Circle, no one is what they seem. THE CONSPIRACY OF US is the first in a YA international thriller trilogy, and was released by Penguin Random House (Putnam) on January 13, 2015. 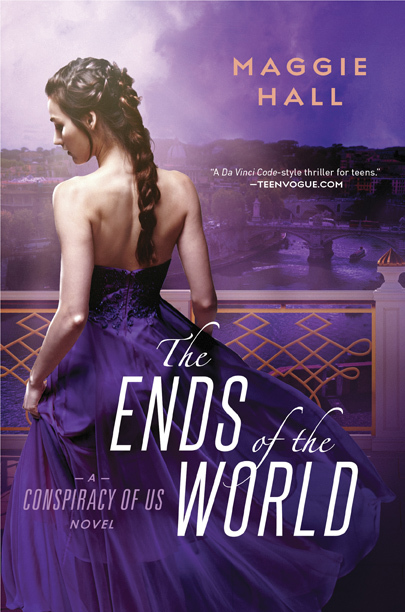 Sixteen-year-old Avery West's newfound family can shut down Prada at the Champs-Elysees when they want to shop in peace, and can just as easily order a bombing when they want to start a war. To thwart their plans, Avery must follow a trail of clues from the monuments of Paris to the back alleys of Istanbul and through a web of ancient legends and lies. And unless she can stay one step ahead of beautiful, volatile Stellan, who knows she’s more than she seems, and can decide whether to trust mysterious, magnetic Jack, she may be doomed after all. Forbidden love and code-breaking, masked balls and explosions, destiny and dark secrets collide in this romantic thriller, in the vein of a YA DaVinci Code. 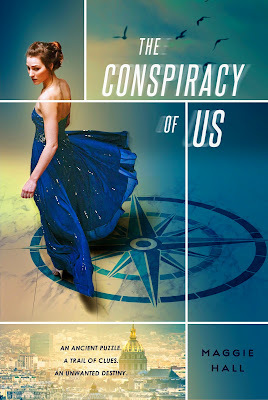 Add THE CONSPIRACY OF US to Goodreads here, and see some inspiration in the form of my series Pinterest board here.